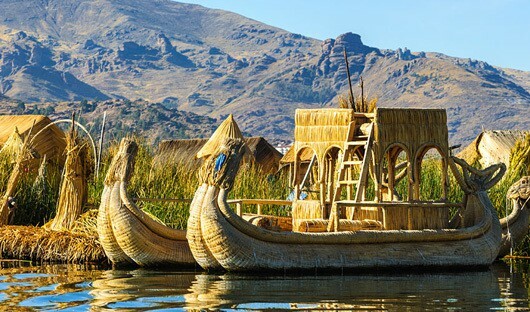 Depart on a boat tour to visit the Uros Indians who live on floating reed islands on Lake Titicaca. The lives of the Uros are completely interwoven with the ‘totora’ reed that grows abundantly in the shallow waters of Lake Titicaca. If you wish you may take a ride on one of the reed boats. Afterwards, travel by road to the Peru border where you will pass through immigration and customs to Bolivia. Drive to Copacabana, a pretty town on the shores of Lake Titicaca. Visit the beautiful Renaissance-style church and the famous ‘Dark Virgin of Copacabana’ and take a stroll around the town before lunch. Then board a small motorboat to the Island of the Sun, the sacred site of the Incas. Stop to visit the Pilkokaina ruins, then hike (approx. 1 hour) to reach your accommodation at the Ecolodge La Estancia (3,841m). The remainder of the afternoon is spent at leisure – your guide will recommend places of interest in the area. We recommend viewing the sunset from the top of the hill behind the lodge. Rise early this morning to see the sunrise. After breakfast, walk to the Spring of Eternal Youth at Yumani, then take the Inca steps down to the shore. Board a small motorboat and sail around the island to Chincana to see the best-preserved ruins of La Chincana or Labyrinth. You may wish to take the optional 1-hour hike or boat to the village of Challapampa, with great views of the lake and the local culture. Visit the local museum to see rich treasures ranging from the Tiahuanaco period to the Inca cultures. Reboard the boat and cruise across to Moon Island to visit the ruins before continuing across the lake to Copacabana for lunch. 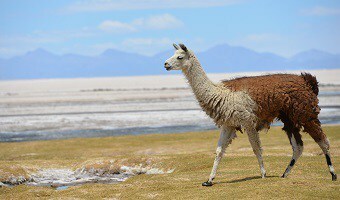 Leave Copacabana and drive along the edge of Lake Titicaca to the Tiquina Straits, crossing the lake at its narrowest point by barge, and continuing to La Paz by road. 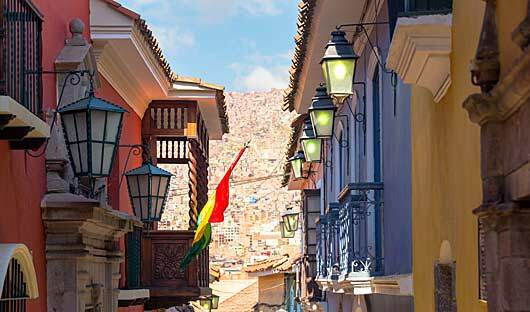 Set at an altitude of 3,636m, La Paz is Bolivia’s commercial capital and is the highest city of its size in the world. Founded in 1548, it lies in a natural basin surrounded by imposing snow-covered mountain peaks and dominated by Mount Illimani (6,402m). On arrival in La Paz, you will be taken to your hotel. Do You Need Us To Help Arrange Your Flights?